Householders who receive poor service from their telecoms provider are to get automatic compensation, the regulator Ofcom has announced. From 2019 they will get £8 a day if a fault is not fixed, paid as a refund through their bill. This is less than the £10 that was proposed when Ofcom began its consultation earlier this year. 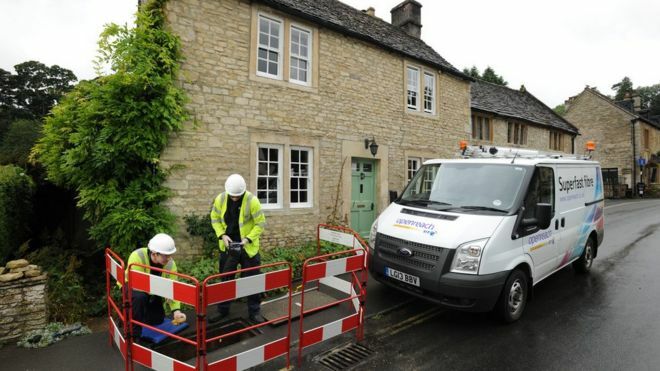 Providers will also have to pay £5 a day if their broadband or landline is not working on the day it was promised. If an engineer misses an appointment, they will have to give £25 in compensation. Ofcom has estimated as many as 2.6 million people could benefit from the new rules. The agreement covers consumers who have contracts with BT, Sky, Talk Talk, Virgin Media and Zen Internet - which make up around 90% of telecoms customers in the UK. Plusnet and EE are expected to join the scheme at a later date. 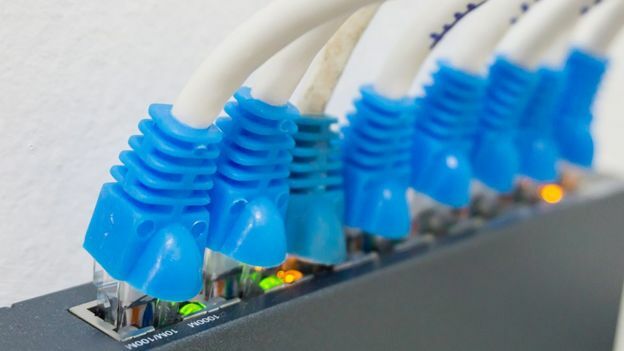 "Waiting too long for your landline or broadband to be fixed is frustrating enough, without having to fight for compensation," said Lindsey Fussell, Ofcom's consumer group director. "So providers will have to pay money back automatically, whenever repairs or installations don't happen on time, or an engineer doesn't turn up. "People will get the money they deserve, while providers will want to work harder to improve their service." Ofcom said the scheme would not come in to operation until early 2019, because of the complexities. It said that billing systems and online accounts would need to be changed, and staff would need to be re-trained. In total, customers can expect to get £142m in pay-outs every year, according to Ofcom's estimates. At the moment telecoms users can get compensation in theory, but only around 15% of those who complain manage to get a refund. Even then most only get small amounts, said Ofcom. Which? said that those providers who have not already joined the scheme should do so.